An important way that tennis on clay differs from the game on other surfaces is in the speed of the serve off the bounce. On clay, the ball's forward velocity is reduced as it grips the surface, and the lost energy is translated into high bounce. 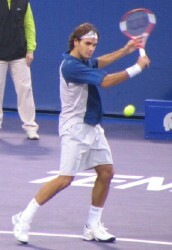 Players whose powerful physiques and serving techniques enable them to serve at extreme velocities have a large advantage on paved courts, where forward speed is less affected on the bounce, but they lose much of this advantage on clay. Pete Sampras, for example, captured a career total of 13 Slams but never won the French. Likewise Boris Becker and Arthur Ashe won the other Slams but not the French. 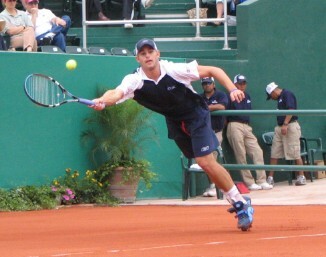 Andy Roddick led the pros with the most aces in 2004. His 155-mph delivery at Charleston was the fastest clocked. But Andy lost in the second round at Garros, where career-wise he has lost more matches than he has won. Most players on clay trade off maximum velocity in serving in order to obtain extra topspin. The spin makes the ball "kick" off the bounce--forward, upward, and, if the spin axis is somewhat slanted, outward. The tendency to use lesser velocity on Garros clay is shown in data assembled by Rod Cross and presented by Jani Pallis in her Tennis SET column in the current (May 2005) edition of Tennis Server. Similarly, Rod's data showed that there are many fewer aces at Garros than at other Slams, and somewhat fewer double-faults. Other important aspects distinguish clay-court tennis. Not only serves but also power groundstrokes, especially flattish deliveries, are slowed and lifted upward in bouncing. The softness of the surface helps drop shots stay low in bouncing. Sliced backhands stay low if firmly hit, but sit up invitingly if delivered without bite. The longer rallies on clay, also noted by Cross, put a premium on court mobility and stamina. Footwork is different, as the surface provides reduced foot traction. Sliding into shots is thus useful, while changing direction can be difficult. Those players whose best success is on clay form a definable sub-population among the male pros. Most of these clay-court stars are from either Spain or South America, regions that have provided the last five men's champions at Garros. During the same five years, no player from these regions won any of the other Slams. Last year, two Argentine players met in the Garros final. Offered here are favorites for Garros 05, as identified by calculations weighting each player's performance in predictor events. (See footnote on the calculations following this column.) Of our three elite candidates, one is from Spain and one from South America. Each player's computed score is given here. The Swiss maestro won three of the four Slams in 2004, losing only at Garros, where he fell to three-time former champion Kuerten in three straight sets. Certainly, slow clay takes away some of the effectiveness of Roger's power in serving and stroking, so that despite his nearly absolute supremacy on other surfaces there are a number of players capable of defeating him on clay even when he is playing well. Still, in his great matches on other surfaces the world has seen that Roger is no pure power player, that he has the shot-making finesse, the court movement, the stamina, and the mental qualities to one day produce a Garros championship. Last year, for example, he won the German Open, held on clay two weeks before Garros, scoring six match wins over a list of superb clay-court opponents including Gaudio, Coria, Moya, and Hewitt. Last week he successfully defended his Hamburg triumph, defeating Coria in the quarters in three straight sets. Will this be the year for Roger? He will turn 24 in August, and is thus now approaching prime age for a champion. Pete Sampras was that age in 1966 when he made his best showing at Garros, reaching the semis. Roger's best chances for completing his career Grand Slam should be just ahead. When Guillermo faced fellow Argentine Gaudio in the final at Garros, Coria won the first two sets and later held two match points. But, cramping and distraught, Guillermo was unable to complete his greatest triumph. Later in the summer he submitted to shoulder surgery. After moderately good results early this year, Guillermo reached the final round at both Monte Carlo and Rome, enroute defeating several top clay-courters. Nadal defeated him in both finals--in four sets at Monte Carlo and in five sets at Rome. Coria also lost to Federer at Hamburg, but the general upward pattern in his comeback has been clear. Coria's is a game built on blinding foot speed, error-free and imaginative shot-making, and good patience. He is smaller in stature than his prime rivals, though he has greatly improved his physical strength in recent years, but he remains handicapped against them in delivering sustained power in serving and stroking. He must be accorded a good chance to capture the prize that he so narrowly missed last year. Rafael's highly physical game is exciting to watch. He has superior court mobility, comparable to Hewitt's or Coria's, supreme energy and determination, again like Hewitt's, and--most impressive of all--outstanding topspin and pace off both sides, superior indeed to Hewitt's or Coria's. To all this he adds a left-handed serve, and a confident, indeed intimidating, court manner surprising in view of his young age. Late last year, Nadal defeated Andy Roddick in critical Davis Cup action, thereby announcing his readiness to move upward. His drive to the top was not long in coming. In January, he nearly defeated Hewitt in the fourth round at Melbourne Park. Then after winning clay-court events in Brazil and Acapulco, he reached the final round in Miami, where he led Federer, two sets to none. But the teen-ager, who early-on had been uninterested in conserving energy during changeovers, eventually wore down in the late going. Nadal then won the tournament at Monte Carlo on clay, defeating Coria, Gaudio, and Gasquet (who had defeated Federer). He triumphed again at Barcelona and again two weeks ago in Rome, where his final-round victory over Coria was settled in a fifth-set tiebreak after more than five hours. Rafael did not compete at Hamburg, citing a cut hand. The extra rest will surely strengthen his readiness for Garros. For 2005 to date, he stands second only to Federer in the rankings. Nadal's calculated score here is diminished because Rafael missed major events last year because of injury. Perhaps significantly, Nadal has twice defeated Coria of late. Decidedly capable of high-velocity serving at height 6-5, Marat is not generally thought of as a clay artist. But he is blessed with very good all-court mobility, critical in clay-court tennis, and can produce consistent power hitting with ample overspin from both sides. Although his results since January have been dismal, Safin's triumph at Australian Open 2005 is not to be dismissed. 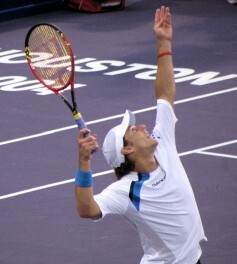 In defeating Federer, Marat showed himself the equal of the world's Number One in all aspects of the game. Can the tall Russian recover the greatness seen in Australia, meanwhile displaying his ample talents for the clay-court game? Gaudio moves into our fifth position upon the late withdrawal of Lleyton Hewitt. After his unexpected triumph at Garros last year, the pleasant Argentine star steadily slid backward in the rankings. His fortunes improved, however, with the current clay season. Another miracle seems unlikely, but his clay-court record so far in 2005 is better than in the same period of 2004. At age 28, recently sidelined with an injured shoulder, and eliminated in the first round at Rome, the chances of the 1998 champion seem remote. Henman, 30, is sometimes seen as an archetype grass-courter, and indeed his W-L record at Wimbledon is much better than in the other Slams. But he does well on clay as well, rallying and moving well in back court. He was a semi-finalist at Garros 2004, an event heavily weighted in our calculations. A run to this year's quarters seems possible, but anything more would be surprising. As usual Roddick was successful on clay in Houston this spring, but not in Europe against top Spanish-speaking clay-courters. 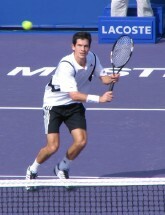 Andy's powerful serve can be adapted for heavy-spin deliveries to open the way for forcing play. Andy also can pump away from the baseline with the best, but his relative inexperience on clay will probably be costly. His critical losses to Nadal and Moya in the Davis Cup final at Seville last year seem prophetic. 9. Ferrer, 1.84. His good recent results are among his best ever. 10. 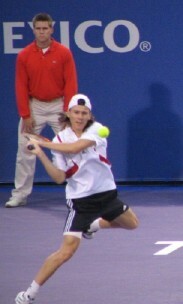 Nalbandian, 1.79. His comeback from nagging injuries has been uneven. 11. Agassi, 1.78. Andre's relentless pressure still works. Semi-finalist at Rome 05. 12. 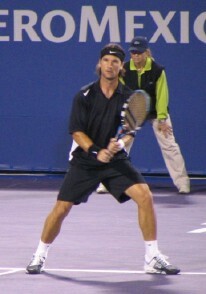 Ljubicic, 1.63. Davis Cup superhero. Career W-L record 3-5 at Garros. 13. Robredo, 1.63. Now 23, has never quite penetrated the top group. 14. Chela, 1.52. At 6-3, another tough clay warrior. 15. Gasquet, 1.51. Defeated Federer on Monte Carlo clay. Age 18. 16. Davydenko, 1.49. Best surface is clay, best asset his quickness. The margins thereafter become narrow. Just behind the top 16 are heavy-hitting Hrbaty, former champion Ferrero, who has revived his career with strong play in 2005, the Chilean Olympic champions Massu and Gonzalez, and dangerous Argentine star Canas. The official seedings at Garros are taken directly from the ATP 12-month rankings. There has been talk of giving extra weight in seeding to clay-court results in the interest of fairness to the clay-court stars. (In seeding at Wimbledon, extra weight is given to grass-court results.) Our method does this, in this case raising clay stars Nadal, Coria, and Moya while lowering Roddick and Agassi. Shown here are the eight sections of the men's draw. Players are listed as ranked by our calculations. As it happens, our calculated favorite in each section is the highest seeded player therein. (The first eight seeds are indicated in parentheses.) As in the case of Wimbledon last year, where results were good, we allow the computer to make all the selections. Continuing the predictions, still relying on the numbers: Federer over Henman, Nadal over Gaudio, Coria over Safin, and Roddick over Agassi. Then in the semis, Federer over Nadal, and Coria over Roddick. Finally, Federer over Coria in the final. The great Swiss star's career Grand Slam will be completed. 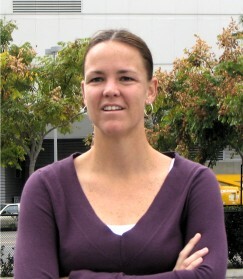 Injuries kept Kim Clijsters and Justine Henin-Hardenne out of competition for much of 2004 and early 2005. Since early March, however, the two Belgian superstars proved themselves again near the top of women's tennis. Clijsters captured the Tier One tournaments at Indian Wells and Miami, defeating Davenport and Sharapova, respectively, in final-round victories. Then Henin-Hardenne won the Tier Ones at Charleston and Berlin, defeating Russian stars Dementieva and Petrova. 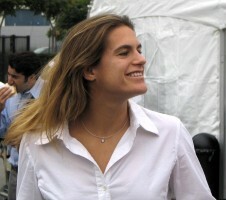 Kim, who is not yet 23, showed her old power and mobility in her March victories. There seemed to be improvement even amid the run itself, when at Miami she won all six matches without losing a set. It was a stunning performance after her long bout with wrist trouble. 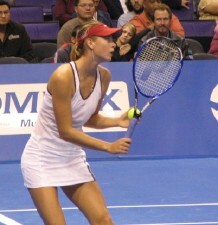 But then Kim became again sidelined, this time with a knee injury, retiring in the third round in Berlin. Will the knee be ready for Garros 05? The prime threat to Justine and Kim would have been a healthy Serena Williams, 23, Garros champion in 2002 and Australian Open champion just four months ago. Serena has the talent, experience, and fighting spirit to sweep the field. But she withdrew just before the start of the tournament with a lingering ankle injury. Neither Clijsters nor Henin competed at Rome last week, where the winner was firm-hitting Amelie Mauresmo, now 25. For several years I have included Amelie just within the ranks of the superstars, but she has yet to win her first Slam. Though she is undeniably a very strong clay-court player, in ten tries at Garros she has never gone beyond the quarters. Also just outside our prime twosome is Maria Sharapova, who at age 17 won four matches at Garros last year to reach the quarters. Since then she has benefited from a largely injury-free year wherein to improve and gain experience. Sharapova has done well on clay in 2005, winning two matches in Berlin before losing to Henin and then reaching the final four at Rome. At its best, Maria's game features relatively high-risk hard-hitting--not a style suited for slow courts. The U.S. veterans Davenport and Venus Williams likewise win with power serving and shot-making. The two have won seven Slams between them, none of them at Garros and none since 2001. Venus is still only 24, however, and she defeated Serena in the quarters in Miami. Either Lindsay or Venus is likely to make a strong run, though Lindsay must face Clijsters in round four. Other heavy-hitters Capriati and Molik will be absent, and last year's champion, Myskina, has lost regularly in early rounds this year. The many uncertainties among the leading candidates may open up chances for outsiders. The list of long-shot young players includes the Russian array Kuznetsova, Petrova, Bovina, Zvonareva, and 2004 runner-up Dementieva. Patty Schnyder has shown a resurgence of late, including a strong runner-up finish at Rome with a win over Sharapova. There is an array of even younger talent now coming on the scene. At #15 in the year-to-date points race is Moscow-born Tatiana Golovin, 17, who lives in and represents France. Five other teen-agers are also in the year-to-date top 25. All are from Russia or eastern Europe--Nicole Vaidisova, age 16 at 5-11, from Czech Republic, Ana Ivanovic from Belgrade, and Russian players Linetskaya, Kirilenko, and Safina, sister of Marat. It seems that the balance of strength in women's tennis is likely to move even farther toward this region. But Justine and Kim remain by far the strongest candidates to reach champion's circle, though neither is seeded in the first eight. Mauresmo and Sharapova are plausible winners, Davenport and Venus somewhat less so. My choice, in view of her triumph in the German and uncertainties as to Clijsters's ability to return from injury, is Henin-Hardenne. Here are the eight sections of the draw, with my choices highlighted. The high-seeded eight are indicated first. --Sharapova (2), Dechy, Sugiyama, Suarez, Llagostera V.
Then, Clijsters over Zvonareva, Venus over Dementieva, Mauresmo over Petrova, and Henin over Sharapova. In the semis, Clijsters over Venus, Henin over Mauresmo. Finally, in the all-Belgian final, Henin over Clijsters. It is almost certain that the Russian women at Garros 05 will win more matches than the women of any other nation. The depth of the Russian contingent is extreme, as there are five Russians among the eight highest-seeded players in the women's singles. Spain and Argentina are almost equal at the top of the men's clay-court game. In our calculated forecast, both nations have two members in the singles top eight and four members in the top sixteen. Spanish depth in singles thereafter appears slightly better. Neither nation is strong in doubles, but the pair Etlis-Rodriguez probably gives Argentina a narrow edge. In this year's three Masters events on clay, Spain's males won the most matches at Rome and Monte Carlo, while Argentina's won the most at Hamburg. At Garros last year, Argentina was the leader. This week at World Team Cup on clay in Dusseldorf, Argentina's four-man squad remained undefeated to reach the final round. The opponent will be Germany. My guess is that Spain will receive the needed lift from Nadal, who missed last year's Garros and this year's Hamburg. The verdict of the tally could well await the final weekend. There is almost never a disappointing Slam. Garros 05 should be magnificent. Our predictor tournaments span the last 15 months. The weight of each predictor depends on how well its results predicted Garros over the last five years. These are the weights used here for predicting Garros 05. The scheme includes a small adjustment for age, such that young players are expected to improve and older players to decline during the interval between predictor and target events. The adjustment formula is derived empirically from the data. In making the final prediction, a player missing a predictor event or losing in the qualification tournament or main-draw first round is awarded 15% of his weighted average score in other tournaments. This procedure serves to equalize these contingencies. The percentage was derived empirically to achieve the tightest correlations. Note that events that are close in time and which use similar court surfaces are grouped, thereby enlarging the data populations in the analyses.